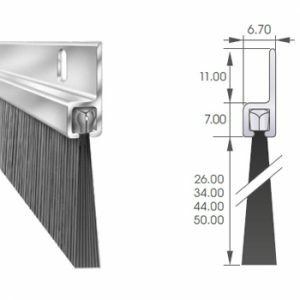 The Fixing Carrier 90 is available in six section sizes with many available trim lengths or manufactured to customer specification. Standard lengths: 2.0 metre, 2.5 metre and 3.0 metres. Cut lengths are available on request. 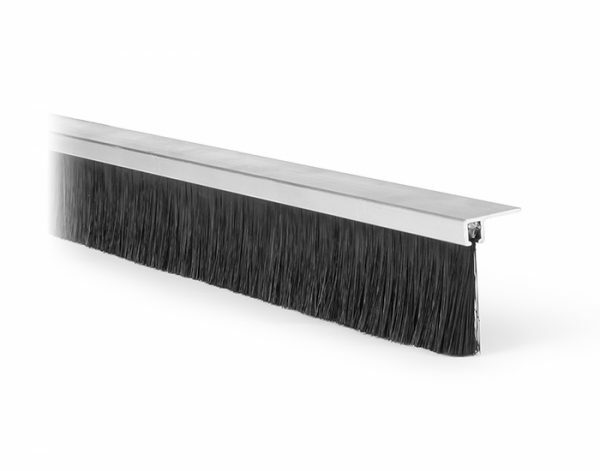 Our Fixing Carrier 90º and our other Brush strips can be used for an infinite variety of applications, including sealing against air, light, dust and sound. 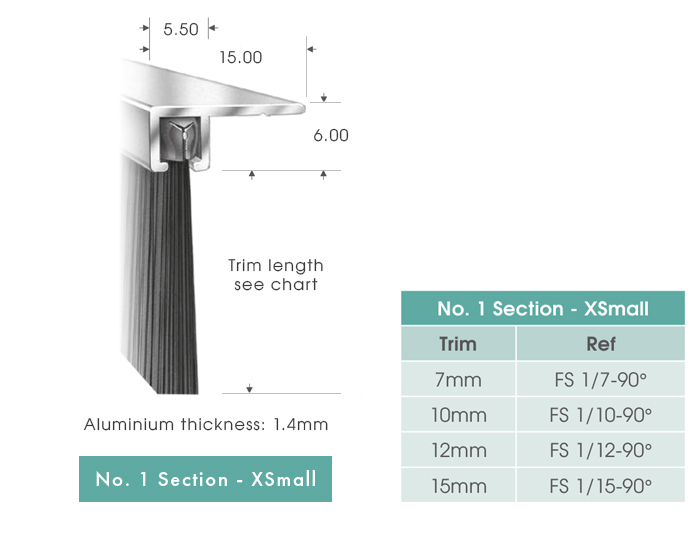 They can also be fitted as guides and retainers. 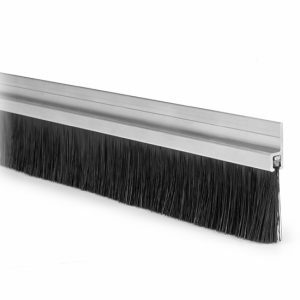 Reduce draughts, shaking and rattling with our range of quality brush strips and seals. 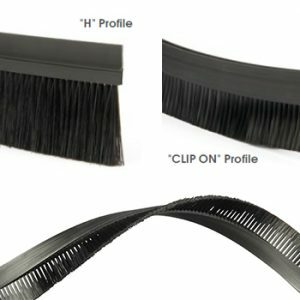 Browse our extensive collection of brush strips and seals on-line and feel free to call our experts for help and advice on our products. 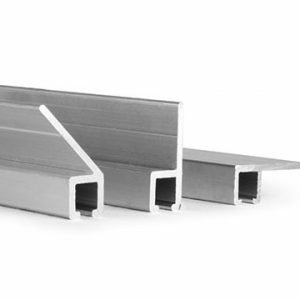 We have a variety of door seals, ideal for roller shutters, sectional and hinged doors in the workplace. 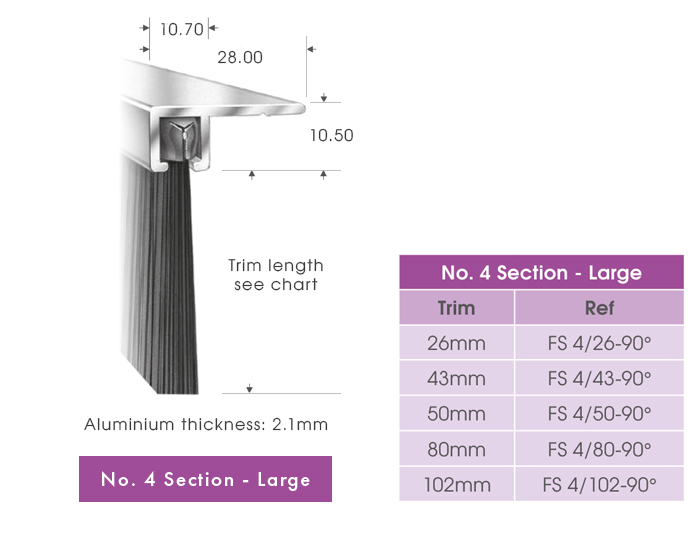 Available in six section sizes with over 40 trim lengths or manufactured to customer specification. 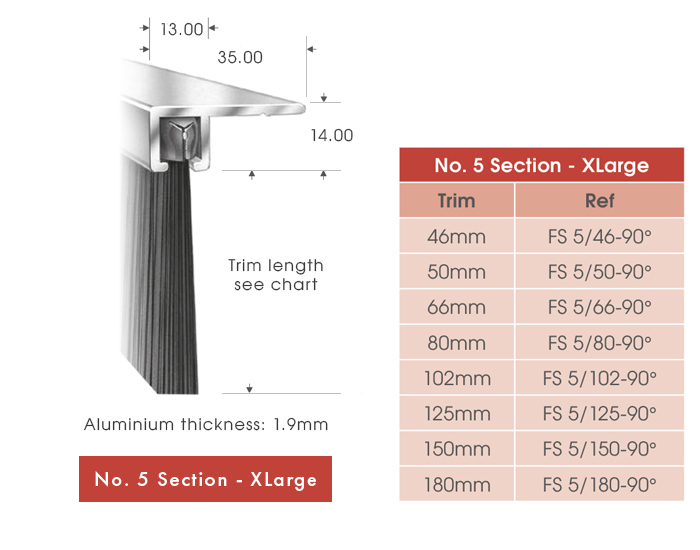 Working temperature range: – 40ºc to +100ºc. 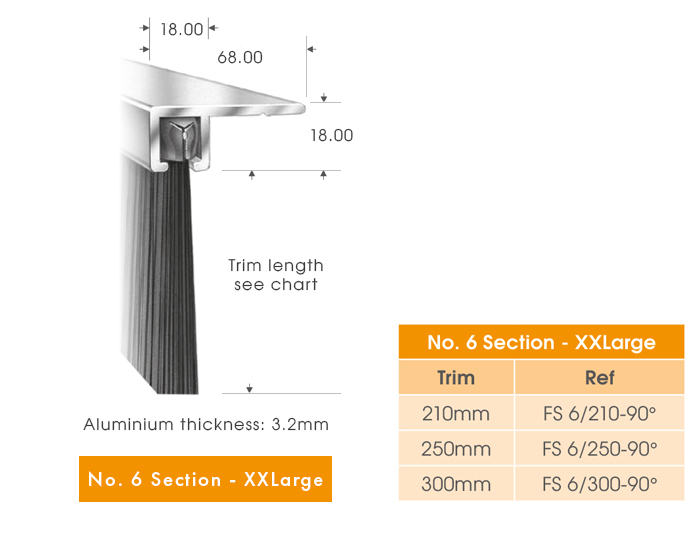 Core Wire: Electro Galvanised Steel. Anodised or painted finishes available on request.